As the the name suggests, Inkjet dyes are the dyes that is applied in the Inkjet printers. These dyes are basically water soluble. The inkjet dyes are very well suited for applications that requires intensity and a wide range of colour gamut. Inkjet Dyes with the recent advances has overcome their earlier short comings of poor color fastness. Recent Inkjet dyes are as good as their pigment variants in terms of color fastness. Dyes As the the name suggests, Inkjet dyes are the dyes that is applied in the Inkjet printers. These dyes are basically water soluble. The inkjet dyes are very well suited for applications that requires intensity and a wide range of colour gamut. Inkjet Dyes with the recent advances has overcome their earlier short comings of poor color fastness. Recent Inkjet dyes are as good as their pigment variants in terms of color fastness. Dyes for Water Based Inkjet Inks Manufacturing dyes for water based inkjet inks is a bit of challenge the choice is a bit limited. This is primarily because the vehicle limits the type of dyes. It is a fact that water based ink would accept only dyes which are water soluble. Dyes that are selected for application in water based inkjet inks must provide colours that are highly saturated. They must scatter or refract only a very little quantity of light. 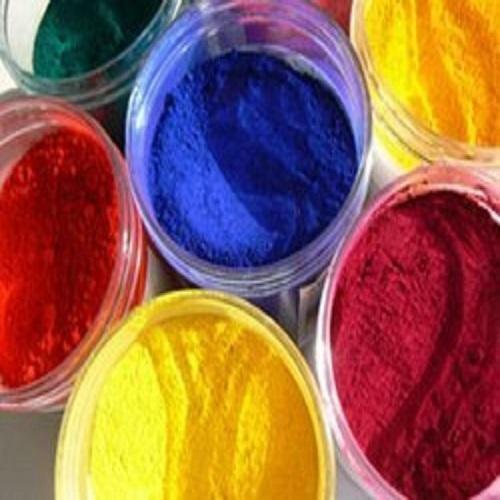 Various class of dyestuffs has been formulated like reactive, direct, acid or base for application in delicate Inkjet Inks. Hyjet Colour Pigment Dispersion are premium quality aqueous suspensions of organic pigments in water. They impart bright and clean colors and a very fine particle size distribution enhances performance. They give high performances in thermal and piezo inkjet application. Particle Size Mean Volume particle size less than 150 nanometer. Dispersion incorporation Start formulation with pigment dispersion, add the solvent in the last step. Packing Available in 25 Kg carboys and 200 Kg barrels. Hyjet Black Pigment Dispersion, PD-30, is a premium quality tailor-made dispersion. It is made up of a very high grade carbon black in water. It has been kept in mind keeping in mind the high end applications like high performance thermal and piezo ink jet application.